Indian Wells, California (CNN) Officials in the influential conservative network affiliated with Charles Koch kicked off their winter summit emphasizing bipartisanship and working to steer clear of fresh confrontation with President Donald Trump. Leaders in the network, whose size and spending has rivaled the national Republican Party in recent elections, have undergone a significant shift in focus. The network is upping its commitment to work across party lines on top priorities, such as promoting free trade and creating a path to permanent legal status for undocumented immigrants brought to the US as young children. “We’re here to unite people to improve their lives,” he said as attendees sipped wine in a vast hotel ballroom during the retreat’s opening reception. Koch officials did not put a dollar amount on their financial commitment to their 2020 priorities, but the network has spent hundreds of millions of dollars in previous election cycles. The gathering marks the first time the donors have come together since a memo to donors leaked in early January indicating that the network would not back Trump’s re-election in 2020. Instead, top officials have said they would focus their political muscle on House, Senate and other down-ballot races in 2020. The libertarian-leaning network pointedly refused to back Trump ahead of the 2016 election and last summer publicly clashed with the Trump administration over the President’s governing style and hardline stances on trade. But as they kicked off their summit Saturday, Koch officials talked less about politics and emphasized their rapidly expanding philanthropic footprint and all the ways they had collaborated with the administration. Chief among them: Collaborating with the White House and liberal activists, such as CNN host and commentator Van Jones, last December to help pass the First Step Act, an extensive overhaul of prison and sentencing laws. This week, Koch officials attended a White House meeting on immigration, said James Davis, a network spokesman. And Hooks said he was “optimistic” about achieving accord to legally protect the young undocumented immigrants known as DREAMers. The donor summit will highlight the network’s growing role as a philanthropic clearinghouse for the network’s donors, many of them business people who support free-market ideas and donate to community organizations vetted by network officials. A three-year-old arm of the Koch orbit, Stand Together, now supports 118 programs around the country focused on reducing poverty. In January alone, Koch donors helped fund $20 million in grants to such groups, said Evan Feinberg, who runs Stand Together. The gathering also will feature presentations from individuals helped by the network’s activism. Alice Marie Johnson, who was released from prison in Alabama last year after Trump commuted her life sentence for a nonviolent drug offense, was among those slated to address donors over the weekend. She was 63 and had served 21 years in prison when she walked free. “I’m living proof that second chances work, because I was given a second chance,” Johnson told reporters. Although the group is advancing a message of bipartisanship, all three of the elected officials expected to attend the gathering — Kentucky Gov. Matt Bevin, Nebraska Sen. Ben Sasse and Utah Sen. Mike Lee — are Republicans. 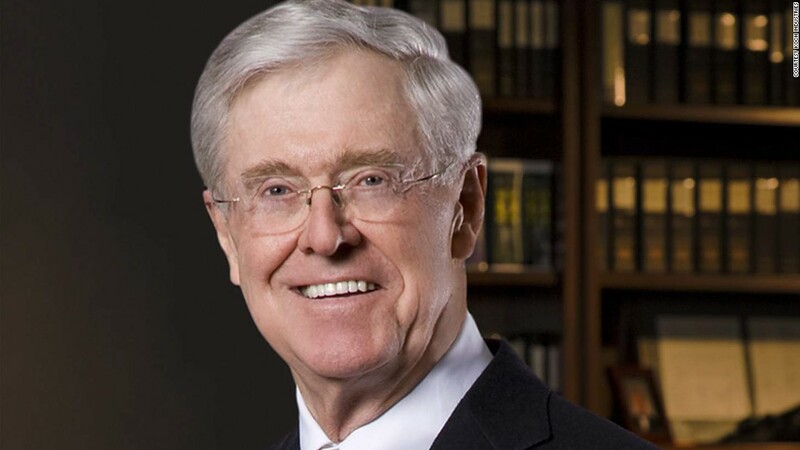 The Koch network holds two donor retreats each year — a winter gathering in Southern California and a summer event in Colorado. Officials open portions of meetings to some journalists but impose restrictions, such as prohibiting reporters from identifying donors without their permission.